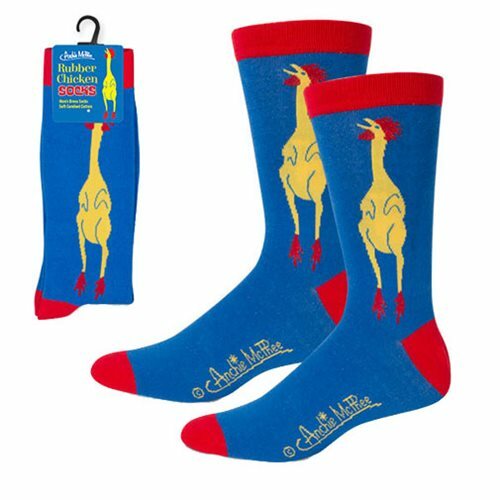 Secure your status as a world-class jokester with these hilarious Rubber Chicken Socks. Made to keep your feet warm and comfortable, these socks will also make people chuckle! They are decorated with an image of a Rubber Chicken on the side and are made of a soft cotton blend. These will fit men's shoe size 7-12. Ages 13 and up.